Vampires are undead immortals, originally humans that have been converted by a Maker. One of their primary characteristics is the need to drink blood in order to survive and grow stronger. Due to the sudden creation of synthetic blood in Japan, vampires have revealed themselves to the global population as no longer a threat to human society, a subject of intense debate and controversy. Because they can drink the manufactured blood as opposed to the natural blood of humans, they would no longer need to prey on the human race. Reaction to vampires varies between countries and regions. However, they are considered legal citizens within the United States, albeit with limited rights and strict rules for both races to follow under penalties like death, fang removal, imprisonment, or unwilling transformation. Vampires are immortal and can live youthful forever if they avoid harm, however it has been stated that 80% of vampires do not survive their first year. Despite their eternal life, some vampires, as they age and gain more experience, begin to wish they were not vampires or try to comprehend the meaning in their life. An example of which is Godric, who had lived for more than 2,000 years before he decided to try and meet the sun. Vampires possess many of the abilities of mythological vampires. Superhuman Strength – Vampires have vast strength and grow stronger with age and experience. Newborns are shown to be stronger than the average person and can overpower/kill them with ease, but they are weak next to older, more experienced vampires. Additionally, their strength is far greater than that of a werewolf. Superhuman Endurance – With their superhuman strength, vampires can endure punishment far greater than humans and most supernatural species, shrugging off attacks that would normally cripple or even kill a human with minimal effort and resist pain a great deal more. Superhuman Speed – Vampires can move a lot faster than humans. No human can outrun them. Their movements regularly make them appear to be a mere blur. They can also move quietly around humans, easily sneaking up behind them. Speed seems to advance with age, as with other powers, and old vampires are significantly faster than younger ones. Healing Factor – Most vampires boast great healing factors, wounds often sealing before ones very eyes. If an injury is severe, vampires need human blood for the healing process to begin. A vampire’s blood can also heal any other organism that consumes it. Vampires have been known to recover from massive burns and tissue damage within a few moments. Glamour – Vampires have also been shown to glamour their victims to do their bidding, force them to tell the truth and even make them forget about any recent events. This is most likely a primary ability for feeding. Excessive glamouring can negatively effect the mental stability of a victim. Telepaths are immune to glamour. It is an ability that must be taught and practiced. Vampires can glamour at least two humans simultaneously. Superhuman Senses – Vampires have much stronger senses than humans; they can hear, see and smell much better. V also has this effect on humans and other supernatural creatures, such as shapeshifters. Night Vision – Vampires can see perfectly in total darkness. Flight – Vampires of a certain age can fly. Younger Vampires seem to levitate at some level, however. Sunlight – Vampires cannot enter direct sunlight without it causing harm to their health; they will begin to burn until their bodies stop working, become black and charred, and burst into flame. There is also a problem with staying up during the day. A vampire will experience something called the “bleeds” which will occur after only a few hours, regardless of age. Another aspect of the sun is that a vampire will “die” during the day when resting, but certain events can wake them up early. Sunlight burns heal more slowly than regular burns from fire and require fresh blood to heal quickly. Fire – Fire causes vampires a great deal of pain and injury; they can, however, quickly heal from even the worst burns if given time and blood. However, if not given chance to heal from fire, or left in the fire for too long, their bodies will break down and die. Wooden Objects – If a vampire is staked in the heart with a wooden stake, they explode, quickly falling apart and leaving a bloody mess. It seems as though the wooden stake must be driven entirely through the heart and the stake must be wooden. Exsanguination – If drained completely of their blood, Vampires can become comatosed or even die. Decapitation – Another way a vampire can be killed is if they had their head severed completely. Breaking their necks seems to only cause mild discomfort however. Other methods – Ripping them in half, too much physical damage to heal from, ripping them apart layer by layer etc. Entry to homes – A vampire is unable to enter the home of a human unless they are invited. Glamouring a human into inviting them in is a common way around this. If one is turned into a vampire, they may have to be invited back into their own home. This does not work with public places like restaurants, even if the owner says they are unwelcome. Humans are also able to withdraw their invitation to any vampire previously invited. Hepatitis D – A form of Hepatitis that has no effect on Humans; however, when a Vampire comes into contact with Hep D-infected blood, they become much weaker, which puts them at risk for being killed. The effects of Hep D last for about one month. Maenad Blood – If a vampire drinks the black blood of a maenad they begin to choke and vomit. It is unknown if maenad blood will kill vampires or just make them ill.
Magic – Vampires are vulnerable to the effects of magic. Silver – A vampire cannot touch silver as it will instantly burn them. Another unfortunate side effect is that any area in contact with silver is unusable to the vampire, meaning that silver is regularly utilized to restrain vampires while draining them so they can’t fight back.The older the vampire the quicker it is able to bounce back to full strength… Depending on the torture the vampire has endured, and how fast it can receive blood. Blood – Vampires require blood to survive and will become incredibly weak, insane or even die without it. Eric Northman calling Pam Swynford De Beaufort to him. Calling a Progeny – The Maker can “call” his or her progeny whenever he or she wants. It feels like a shiver all over the body and reveals to the Progeny where his or her maker is. Commands – Makers can force their progenies to do anything they want, they just have to finish the sentence by saying the words “As your Maker, I command you”. Apparently, these words have no effect if the Progeny was previously released. Release – At the moment the vampire Maker says the words “As your Maker, I release you” his or her Progeny is completely released of any control from their Maker forever. Out of their Makers control, they now have free will. Empathic Link – Similar to calling a Progeny. Makers can sense when their progeny dies. Unknown if the reverse is true. Healing – Taking V helps a person heal wounds and stop bleeding. This property of their blood is used by vampires to close the bite marks of their victims, as a way of hiding the fact that they fed. Increased Abilities – A being other than a vampire who has taken V experiences enhanced speed, senses, strength, durability and libido as long as they have it in their system. Drug Trip – Vampire blood also makes the person who took it experience hallucinations which manifest differently with different people. Bonding – Unifies the life essence (soul) of the human with that of the vampire. The human will become sexually attracted to the vampire and will have sexual dreams with them, and vice versa. The vampire will also sense where the human is and if the human is in danger or dies, and vice versa. A vampire will also be able to sense the emotions of the human who drank their blood. Vampires have a paler complexion than they did as a Human. Their fangs protrude when they’re feeding, aroused, angry or excited, otherwise they’re concealed to maintain a human appearance. 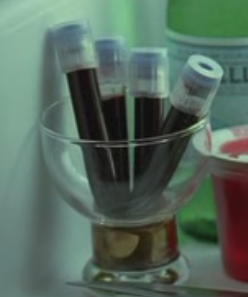 If a vampire decides to mainstream and doesn’t feed on humans, they remain intact by drinking Tru Blood. Vampires are immortal and appear as they did when they were turned. However, a vampire’s hair still grows. It is shown that vampires do not gain weight. When vampires cry, they don’t cry normal tears. Their tear ducts expel blood. 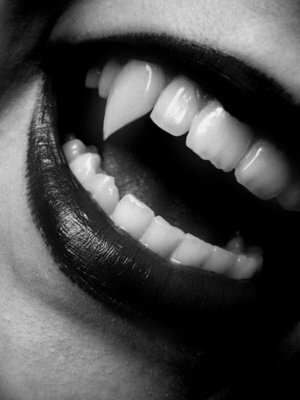 Vampire’s fangs are hidden in plain sight, meaning that vampires can hide their fangs whenever they choose. Their fangs protrude not just by their feelings but by the movements of certain muscles in the face. That is why vampires often move their head a little before displaying their fangs. Vampire fangs are located behind the maxillary lateral incisors instead of their canines as shown in vampire lore. A lack of vampire reflection is nothing but lore. Vampires are indeed able to see their own reflection, unless the backs of the mirrors are lined with silver. Fairies (also known as Fenordree, Ellyllon, The Old People, Fae and Aliens) are a type of supernatural creature. Fairies are a species of humanoid creature once native to Earth but who now primarily exist on the dimensional plane of Faery. Fairies are your basic supernatural being. From them come elves and brownies and angels and demons. 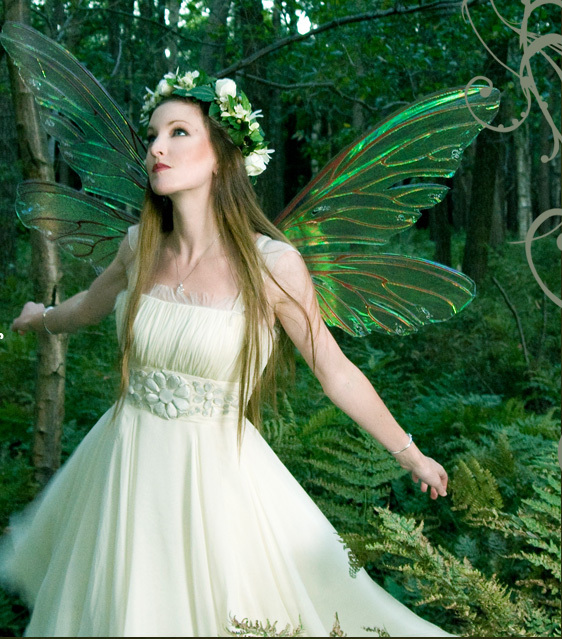 Water sprites, green men, all the natural spirits…they’re all some form of fairy. 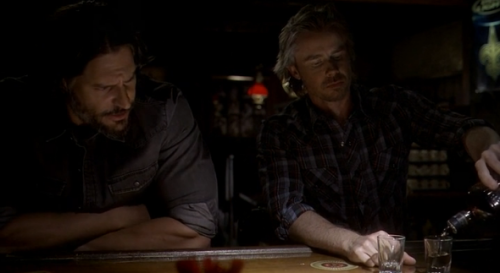 Shifter Sam Merlotte tries not to think of something he wishes to keep from Sookie Stackhouse. Telepathy – Fairies are able to read the thoughts of any creature however some have the ability to read vampire minds blocked at birth in order to keep them safe from harm. They can receive images or sentences, depending on the person. If they concentrate, they can “turn off” this ability. If they focus hard enough, they can “enter” another person’s mind and penetrate their memories, bringing back recollections of events a person had been forced to forget. Photokinesis (Nature Channeling) – Fairies can generate and control large beams of light with their minds, using this ability to attack an enemy or topple large objects. The colour of this light to attack with is gold, and it’s white if the fairy wants to topple an object. The ability has been described as “nature itself” and can injure humans, the two natured and vampires. It also has been shown to break and reverse magic spells. Casting illusions – Able to cast vivid and convincing illusions in order to trick others, as demonstrated with the illusion on the fae world, making it appear more appealing and beautiful. While the true form of a full-blooded fairy is goblin-like with pale gray skin, pointed ears, long nose, blue-green eyes, long sharp claws and rodent fangs, full-blooded fairies can disguise themselves as beautiful and attractive humanoids. Teleportation – Fairies can teleport from their realm to the human world at will. They can also teleport within the human world. Oneirokinesis (Dream Infiltration) – Fairies are able to enter peoples dreams and converse with that person, even receive answers to their questions about the person whose dreams they’re infiltrating. For a vampire, drinking large amounts of fae blood might trigger oneirokinesis. Fairy/human hybrids seem to receive the dreams while they are in a coma however they can cast them on others whenever they wish. Oath – When fairies make an oath or promise the fairy and other person must touch fingers and a photokinetic light will come through the promiser’s arm. If the oath is broken the promiser dies. Healing – A fairy can use their natural light to heal any other supernatural being. They must have a clear mind and must want to honestly help the person in need. Healing another uses a lot of energy but with practice doesn’t take as much effort. The light used for this power is green. Emotional Exchange – This type of light can be used to increase or decrease the emotions someone is feeling. It’s useful, for example, if the fairy finds themselves needing information from someone who’s emotionally distraught. They can take the emotions influencing them away from them so they can think clearly. The emotions don’t backfire on the fairy, they just simply disappear. The fairy can retain those emotions if they wish and give them back to the person in question after they have what they want, or they can just get rid of the negative emotions all together. It can also be used to intensify emotions, such as love. Usually the intensifying side of this type of light is reserved to more private places such as the bedroom. The light for this power is a bright red. Scent and Toxicity Suppression – If a fairy is over 1/3 then they have the ability to suppress their scent around others which is useful around vampires. They also have the ability to reduce the toxicity of their blood in order to discourage accidentally draining, however this skill takes lots of practice and concentration in order to execute and therefore isn’t always done correctly. Eric Northman high on Fae blood. Intoxication – Any vampire that drinks fairy blood becomes intoxicated with it, going into a state humans would describe as “drunk”. The amount of drunkness displayed by a vampire depends on the amount and toxicity of the fairy blood the vampire drank. Attraction – Fairy blood smells very appealing to supernaturals, especially vampires (though two-natured have admitted to it, too). The blood also increases the physical appeal of human/fairy hybrids and their descendants. Vampire sunblock – Depending on the amount of blood consumed, vampires become immune to their weakness to sunlight after drinking fairy blood. The effects last shortly, however, and the pureness of the blood is a factor too. It is unknown if fairy blood has any effect on humans. 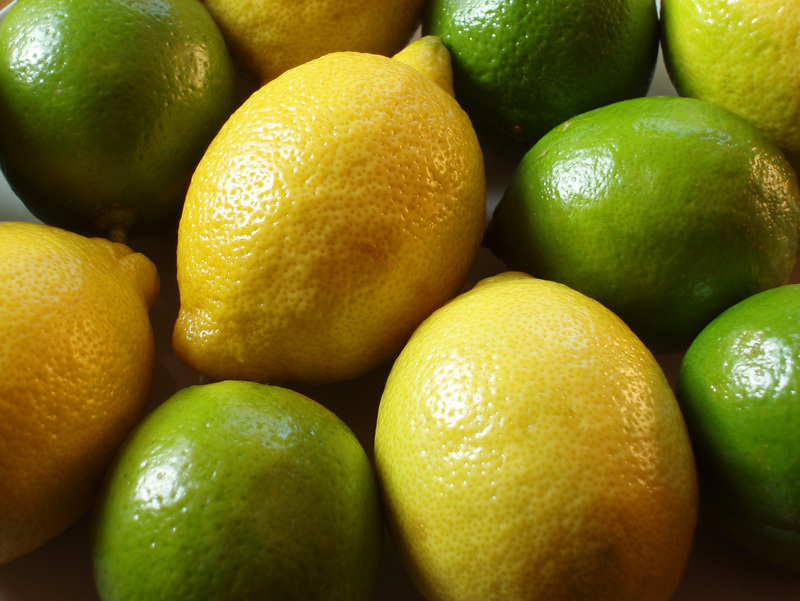 Fairies can be killed with either lemons, limes or iron. Fairies are secretive about their own race, customs, interactions, and world thus making them even more interesting to other supernatural creatures. They normally inhabit the fae world, named Faery, but there are portals and doorways between it and the human world. Werewolves are a supernatural species who possess the ability to phase between their human and werewolf forms. Little is known about them or the specifics of their existence. It is implied that shapeshifters are hunted or discriminated against by werewolves and other “weres.” Werewolves are known to be violent and unpleasant creatures. Werewolves are simply a separate biological lineage to shapeshifters and are, at the most basically level, shapeshifters that can assume only one form, that of a wolf. Their only supernatural ability is to switch between human and wolf form at will. Both their human forms and wolf forms are as powerful as what is found in the norm of that species, however, they obviously retain human intelligence in wolf form as well as enhanced wolf like senses and instincts in human form. Due to their association with wolves, weres seem to organize themselves into a structure similar to werewolf packs, with an alpha wolf who commands the lowers ranks. Werewolves, while being able to supernaturally transform into wolf form, are still no match for higher supernatural creatures, such as Vampires. Shapeshifters are superhumans with the ability to transform into any animal it chooses. A shapeshifter can copy another animal’s body and morph into an exact copy of that animal. The animal does not have to be a similar size to the shifter. However a basic shifter can not shift into another human as they are too complex to copy. To earn the ability to shift into a human, a shifter must kill a fellow shifter family member. This turns them into a Skinwalker, capable of turning into any animal on earth (including humans). Shapeshifters also have a ‘go-to’ shift, which is a shift they find easy to copy. The shapeshifter will usually have this animal around where they live, making it easier for them to shift quickly into this creature. It is unknown if the shapeshifter chooses this animal or if it is chosen for them. It also can be said that when a shapeshifter chooses a “go-to” shift animal they inherit some animal traits. When there is a full moon in the sky at night, shapeshifters are driven to shift into their animal for the entire duration of the full moon. Shapeshifters can’t retain their clothing when they change, so when they change back into a human they appear naked.